Sealed proposals for Cleaning Services at the offices of the Greenlawn Water District, 45 Railroad Street, Greenlawn, NY 11740, will be received at that address up until 9:00 a.m. on Wednesday, April 3, 2019 at which time they will be publicly opened and read aloud. Specifications and schedule of services are available at the District office, or you may call 631/261-0874 to have this information mailed or faxed. The undersigned reserve the right to reject any and all proposals or to award the contract to the lowest responsible bidder who in their judgment submits the most advantageous quote. Bids received will be publicly opened and read aloud at 9:00 AM, prevailing time, on this same date. Information for Bidders, Proposal, Specifications and Contract Forms may be obtained in electronic format at the office of the District Engineer, H2M architects + engineers, 538 Broad Hollow Road, 4th Floor East, Melville, New York 11747, upon deposit of Twenty-Five Dollars ($25.00) per disc. Make deposit check payable to H2M. Bidder’s deposit will be refunded when the original disc is returned in good condition within ten (10) days after the bids have been opened. Other deposits will be partially or not refunded. Only plan holders who have registered and paid their deposit are eligible to submit bids. Sealed bids for the purchase of services required for Spring Cleanup and Grounds Maintenance for the year 2019 at various sites throughout the Greenlawn Water District, will be received up to 9:00 a.m. on Wednesday, March 13, 2019, at the District Office located at 45 Railroad Street, Greenlawn, New York, at which time all bids will be publicly opened and read aloud. 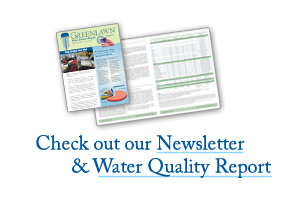 Specifications for said bids are on file at the Greenlawn Water District office. All contractors wishing to bid on this work must make an appointment with the Superintendent or designee to inspect all sites and go over bid specs before bidding. NOTICE IS HEREBY GIVEN that the Board of Commissioners of the Greenlawn Water District, at an organizational meeting thereof at the Water District Office on Wednesday, January 2, 2019, duly adopted a resolution, an abstract of which is as follows: “AND, WHEREAS, a regular schedule of meetings of the Greenlawn Water District shall be established by the Board of Commissioners; and RESOLVED that all regular meetings will be held at the District Offices (45 Railroad Street, Greenlawn, NY) at 9:00 a.m. on Wednesdays, with the exception of Thursday, January 3rd and Thursday December 26, 2019. Notice of the 2019 meetings schedule and changes or cancellations will be published in the Long Islander, and posted at Commack, Harborfields and Elwood Libraries. 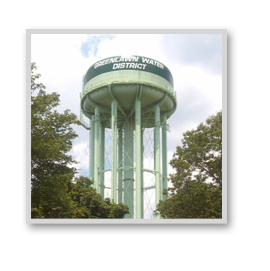 In addition, the meeting schedule will be posted on the Town of Huntington and Greenlawn Water District websites.” First regular Board meeting of 2019 was held January 3rd at 9:00 a.m.
NOTICE IS HEREBY GIVEN that the Board of Commissioners of the Greenlawn Water District will hold their Organizational Meeting at the water district office on Wednesday, January 2, 2019 at 9:00 a.m., and their Regular Meeting on Thursday, January 3, 2019 at 9:00 a.m.
Commissioner James M. Logan was reelected to a new 3-year term as a Greenlawn Water District Water Commissioner as a result of the election held on December 11, 2018. Commissioner Logan will begin his new term effective January 1, 2019 and serve through December 31, 2021. 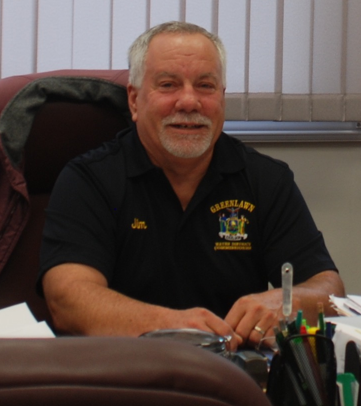 The lifelong Greenlawn resident been a member of the Greenlawn Fire Department since 1974 and has also served as Chief Fire Marshal of the Town of Huntington and Head of the Fire Prevention Bureau. Jim has been a Greenlawn Water Commissioner since 2000. PLEASE TAKE NOTICE that the Annual Election of the Greenlawn Water District will take place on Tuesday, December 11, 2018, between the hours of 3:00 p.m. and 9:00 p.m. at the Greenlawn Water District office located at 45 Railroad Street, Greenlawn, NY, for the purpose of electing one Commissioner for a three-year term, commencing on January 1, 2019 and ending on December 31, 2021. All duly registered residents of the Greenlawn Water District shall be eligible to vote.